Couple in front of house, Greenwich, Mass. Greenwich (Mass.) 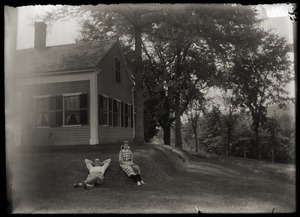 - Man and young woman (see numbers muph060-b001-i011, muph060-b001-i014, muph060-b002-i044) relaxing in front of house identified as Edgar O. Fewell's (see photo muph060-b001-i010). Greenwich (Mass.) 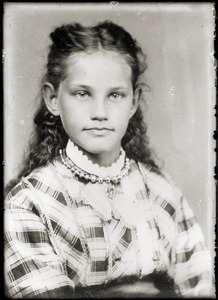 - Half-length portrait of young girl with lace collar and plaid dress. Girl also appears in images muph060-b001-i011, muph060-b001-i014, muph060-b002-i041, and muph060-b002-i044. 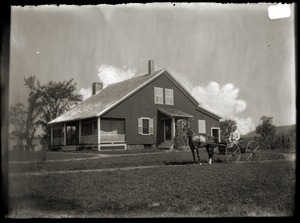 Horse and buggy in front of house, Greenwich, Mass. Greenwich (Mass.) - Rider, horse and buggy pulled up in front of house -- probably that of Ed and Nellie Green. 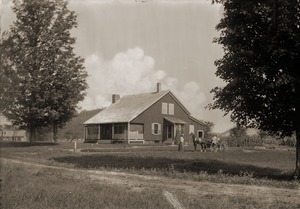 Same house depicted in muph060-b001-i011 through i014 and muph060-b004-i128. Young girl in a field,Greenwich, Mass. Greenwich (Mass.) 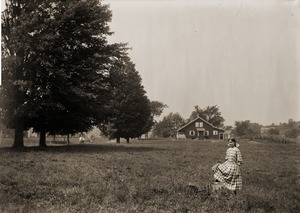 - Image of young girl in gingham dress in a field in front of a house -- probably that of Ed and Nellie Green. Same house depicted in muph060-b001-i011 through i014 and muph060-b004-i128. Ed and Nellie Green house, Bruce's Crossing, Greenwich, Mass. Greenwich (Mass.) 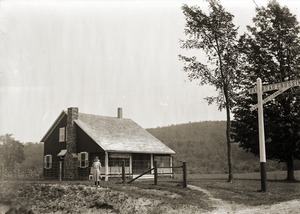 - Young girl in gingham dress posed in front of house of Edward S. Green and his wife Nellie L. (Dufraine) Green; railroad crossing sign in foreground. Same house depicted in muph060-b001-i011 through i014 and muph060-b004-i128. Greenwich (Mass.) 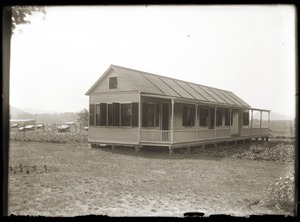 - Unidentified building at Hillside School. See image of students on front steps of this building at muph060-b004-i090 and muph060-b004-i124. Greenwich (Mass.) 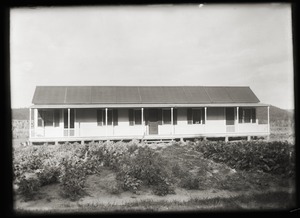 - View of building at Hillside School. See image of students on front steps of this building at muph060-b004-i090 and muph060-b004-i112. Greenwich (Mass.) 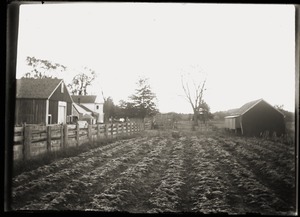 - Fields planted by unidentified home. Greenwich (Mass.)? - Birdhouse(?) 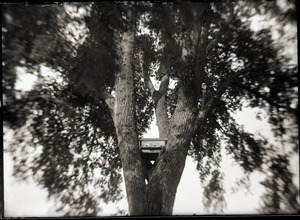 built onto branches of a large elm tree.